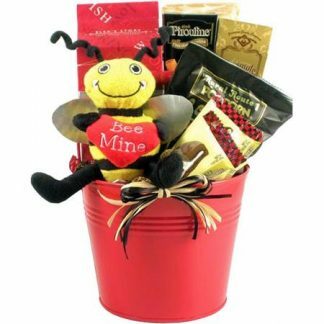 This sweet gift designed with just her in mind! 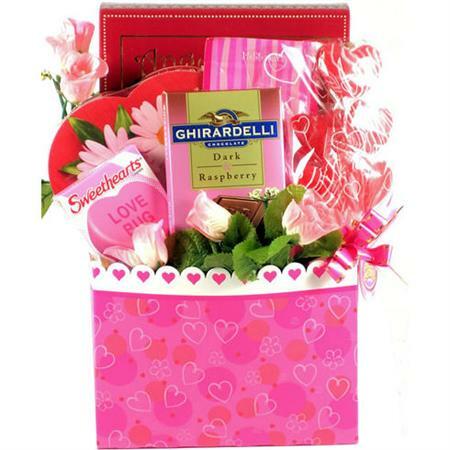 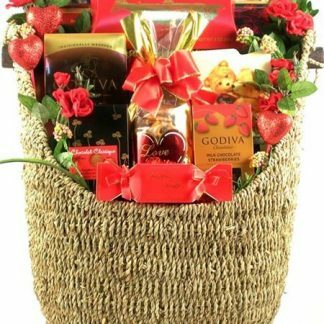 Gift offers a pink heart box filled with a large Dark Chocolate Ghirardelli bar with a creamy Raspberry filling, a box of Sweethearts Candies, a bouquet of heart lollypops, a heart shaped box filled with assorted chocolates, gourmet Hot Chocolate Mix, and Sweet Butter Cherub Cookies! 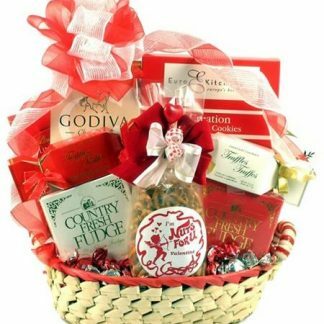 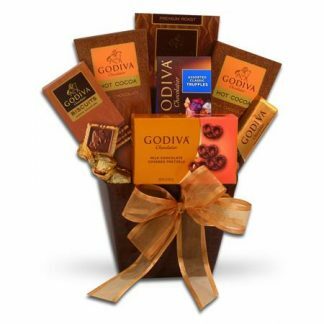 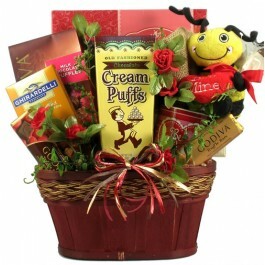 Trimmed with pink silk roses and topped with a designer bow, this gift basket is the perfect way to say “Be Mine!”.